The UK is to train troops for a major peacekeeping operation in the Democratic Republic of Congo to “neutralize” Rwandan armed groups. A team of around 20 soldiers from Northern Ireland are about to deploy to Malawi in southeast Africa to lead the training operation ahead of international troop deployments to DR Congo. Malawi Defense Forces are aiming to take control of parts of the country. The UN Security Council called for immediate military action in DR Congo to neutralize Rwandan armed groups that threatened civilians in the eastern part of the country. The UN mission in DR Congo said government troops and peacekeepers were intensifying deployments towards rebel positions. DR Congo's army and a 3,000-strong South African, Tanzanian and Malawian UN intervention force is due to launch an offensive against the Democratic Forces for the Liberation of Rwanda (FDLR) rebels. The Council said the January 2 deadline for the FDLR to disband had passed, and the group, which has been recognized by the Council as being involved in the 1994 Rwandan genocide, continued to recruit new fighters. UK soldiers, from the Royal Scots Borderers 1st Battalion, the Royal Regiment of Scotland and the Second Battalion the Rifles, will spend two months in Africa, according to the Ministry of Defense. The soldiers have recent experience in Afghanistan, Bosnia and Iraq. The FDLR has been active in east DR Congo since the militants fled across the border from Rwanda after the 1994 genocide, in which at least 800,000 people died. Key members of the FDLR leadership are said to have connections to the genocide in Rwanda. Major Alasdair Hempenstall from the Royal Scots Borderers told the Belfast Telegraph: “We will be working in difficult terrain and to a tight schedule with a vast amount of operational expertise to pass over. The move is seen by analysts as a gradual transformation of UK military missions abroad. British soldiers are being deployed to volatile regions to help train soldiers to protect themselves, instead of the UK sending boots on the ground to fight in foreign conflicts. 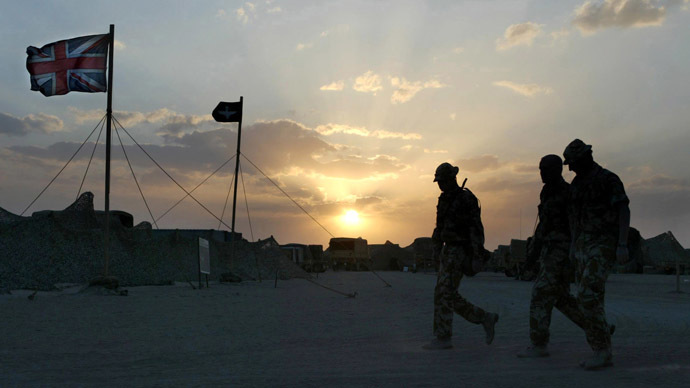 Small teams of British soldiers are also said to be training troops in Somalia and Iraq.